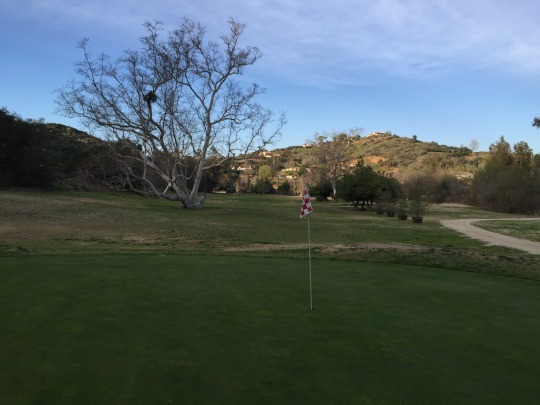 On Saturday, a friend and I made our way down to Fallbrook. 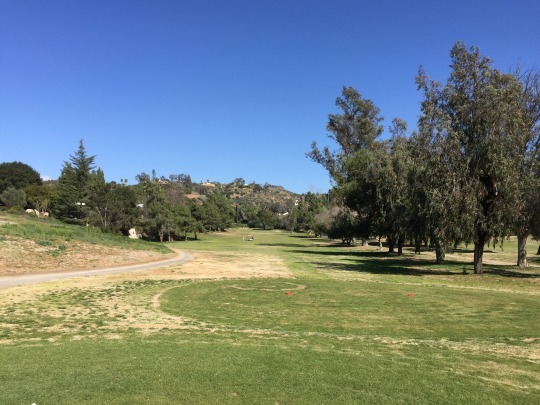 The late morning traffic was pretty miserable, but we made it just in time for our 12:30 tee time at Fallbrook Golf Club. Playing Fallbrook this weekend satisfied a couple of needs. First, it was on my “replay” list since I had never reviewed it here before, even though I have played this course many times. In fact, I’ve always had kind of a soft spot for this track despite usually playing poorly there. This fondness sparked the other reason I revisited the course on Saturday. 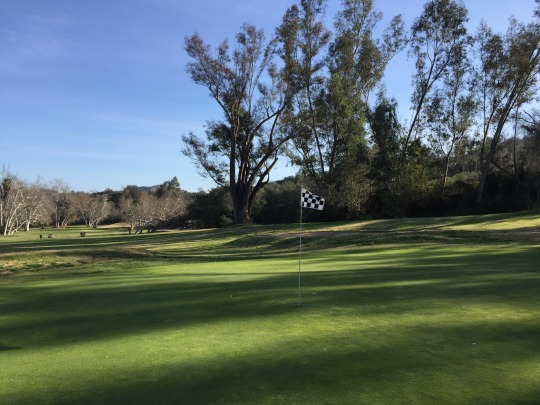 I had heard recently that they are planning to close the back nine at Fallbrook Golf Club soon. I definitely prefer the back nine over the front, so hearing this sad news added a sense of urgency to play it while it was still there. If the rumors were true, I figured this would likely be my final visit ever to this course. Note: The whole course is now closed. 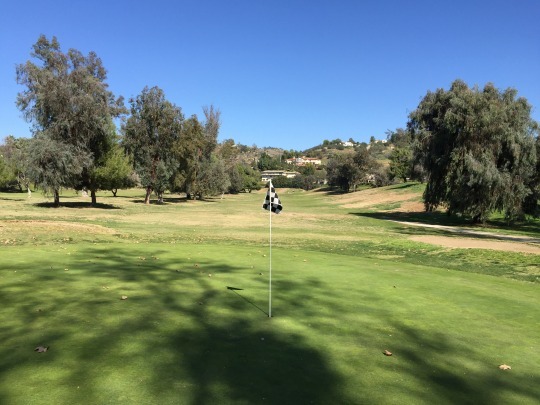 I had heard the back nine might close near the end of February, so when I saw a hot deal on GolfNow for just $10, I went ahead and booked a twosome. When we checked in, I asked the guy in the pro shop and he confirmed the back nine is set to close soon. There is no official date, but it could happen as soon as the 21st of this month. 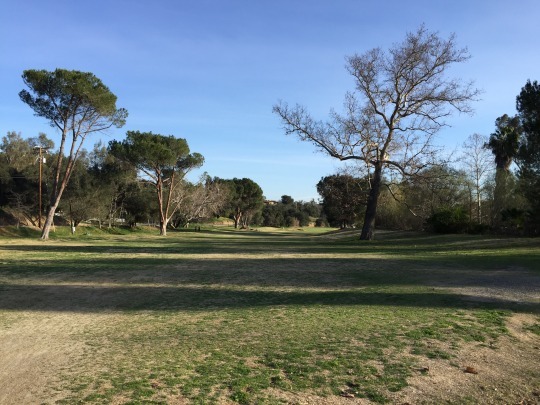 It seems like there are many in the community who want to keep the course as it is rather than seeing the back nine property sold off. 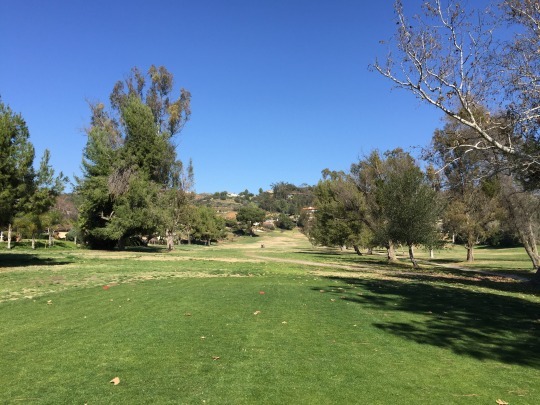 Whether the land is redeveloped for new housing or left neglected like it apparently has been at what was once San Luis Rey Downs Golf Course just down the road, some residents would rather keep their beloved golf course alive. 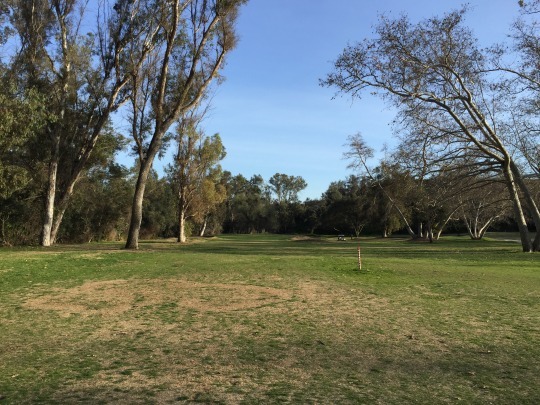 Unfortunately, in a tough economy and with Southern California’s drought crisis, it’s a tough challenge to save Fallbrook Golf Club. Anyway, I was here to say goodbye—at least for now. 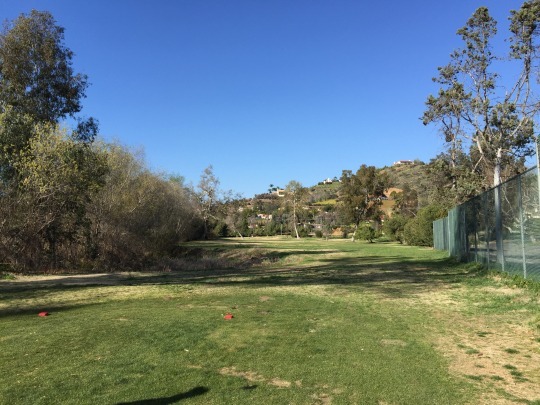 Even if closing the back nine means they’ll be able to put more time, money, water and effort into improving the front nine, I doubt that I would never come out here just to play a 9-hole version of the course. And even if they are able to reopen the whole course some day, it needs a lot of work to be a decent track again. It was never a super well-conditioned course, but it was often a convenient and inexpensive option. In recent years, it has gone further and further downhill. Saturday’s conditions were quite dreadful and sad. I will say the greens were in pretty nice shape, receptive and rolling smooth at medium/slow speeds. However, there were a lot of leaves and debris on many of the greens that often got in the way of putts and chips. The tee boxes had lush green grass, but were too shaggy. 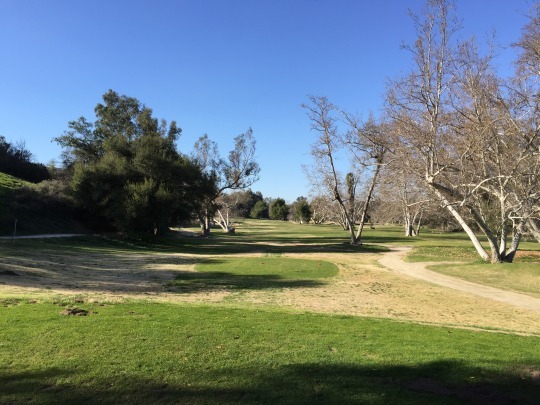 The fairways and rough were a hot mess throughout—just plain awful. 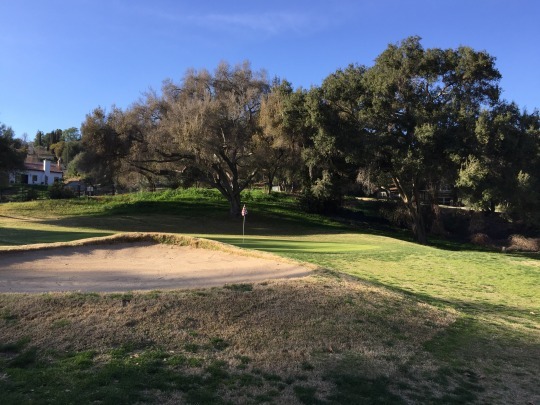 The bunkers felt like about a quarter-inch of sand on top of cement underneath. I can say the back nine was “maintained” the same as the front nine, so it seems they’re doing what they can until that half of the course officially closes. 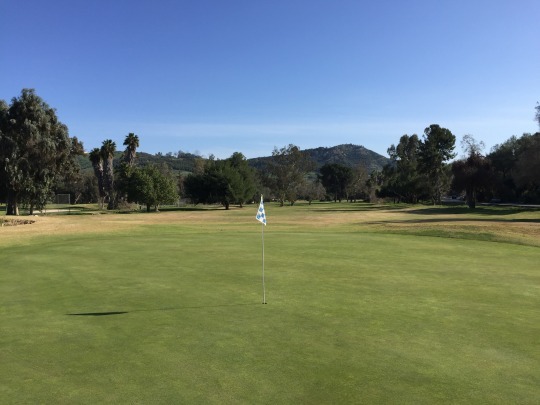 The layout at Fallbrook Golf Club is relatively short and would qualify as “target” golf. 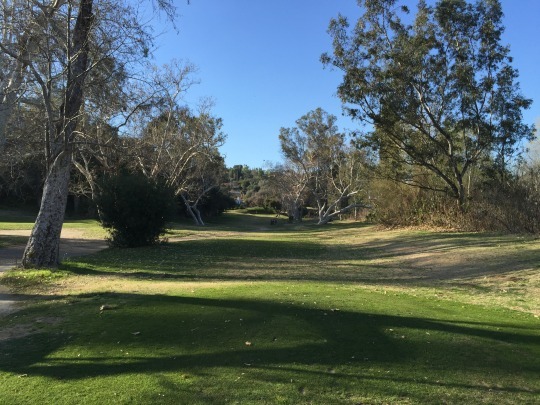 The first hole has always been a quirky one as you tee off next to the clubhouse and hit directly over the Gird Road. Water sits on the right of the fairway and there’s a drainage ditch that cuts across the fairway a couple hundred yards out, so it’s an awkward first shot to say the least. Beyond that, the front nine is mostly straightforward as runs back and forth through the valley. 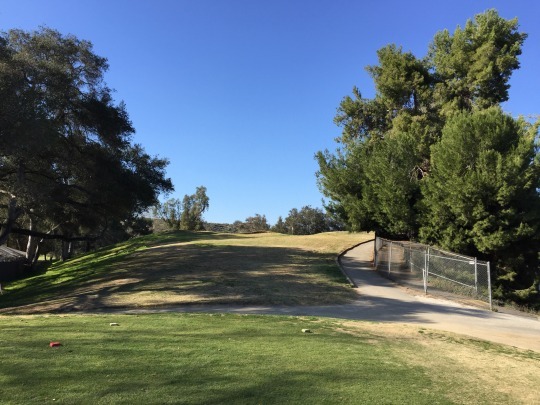 There are drainage ditches that come into play and are quite a nuisance on several front nine holes. Also, the routing is a little funky and dangerous in some spots where various greens, tee boxes and cart paths come in close proximity to one another. 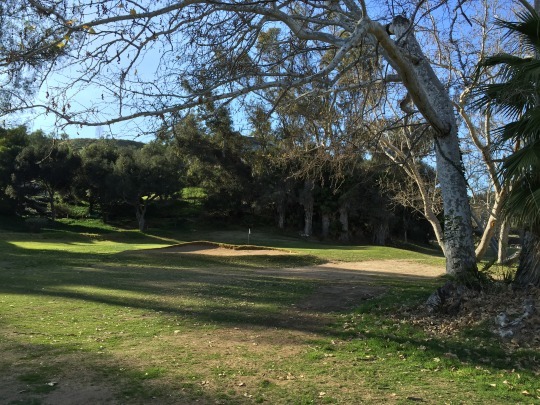 One other unusual trait of Fallbrook is that both the 9th and 18th holes are par-3s, which is very rare to see. As I said, I’ve always preferred the back nine here. 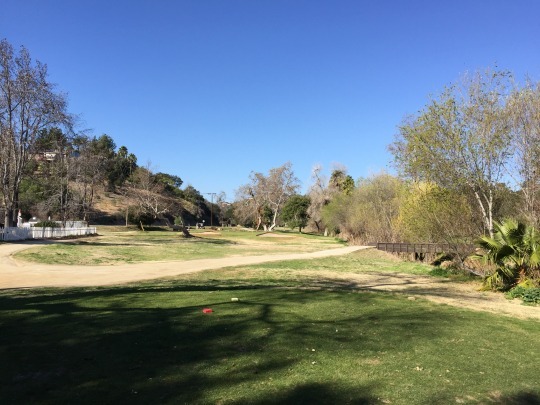 Overall, the setting of the course is nice, but the back nine is more scenic with less houses and roads in play. Even though conditions were so terrible, it was great playing the back nine with flattering late afternoon lighting as I was able to get a few good pictures of it before it before it goes away. 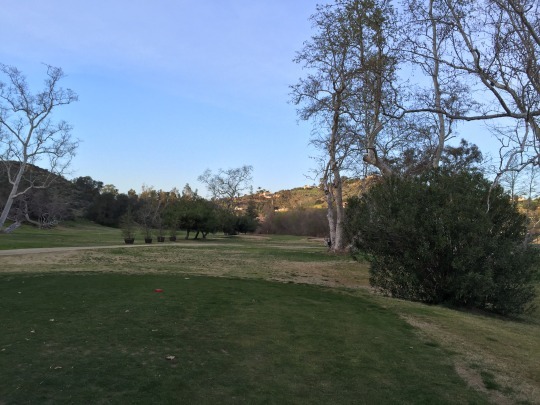 The back nine at Fallbrook is generally narrower and requires more demanding shots. The 16th hole has always beat me up and this visit was no exception. I’m not sure I’ll miss that particular hole very much! 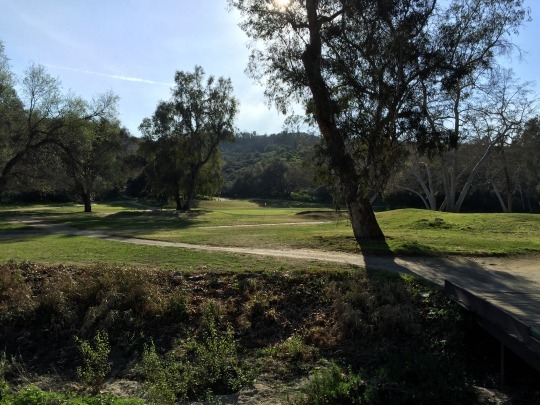 Fallbrook has never been the best course around and it has its quirks, but obviously I’m not the only one who feels a little sentimentality towards it. I was talking with a player in the group ahead on the 18th tee and he mentioned his group was there for the same reason I was. They heard the back nine was closing and wanted to come and play it one last time. We’ll see if they can survive with just the front nine left to play. I fear the whole course’s days may be numbered, though. Only time will tell. 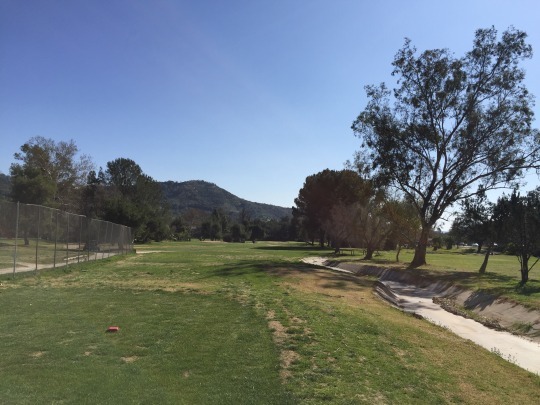 Can you recommend a couple nice, pretty, challenging courses in a Palm Springs that aren’t going to break the bank? 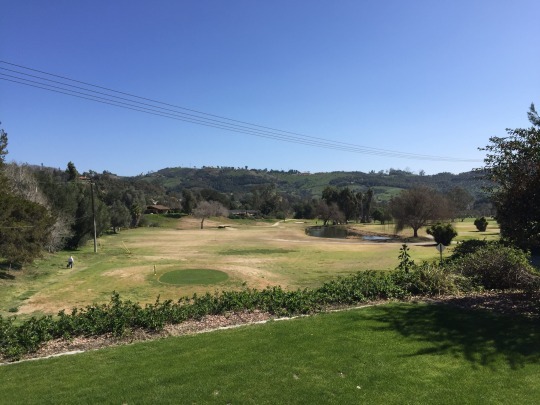 My traveling partners and I are members at The Farms in San Diego, so we are used to a challenging track. 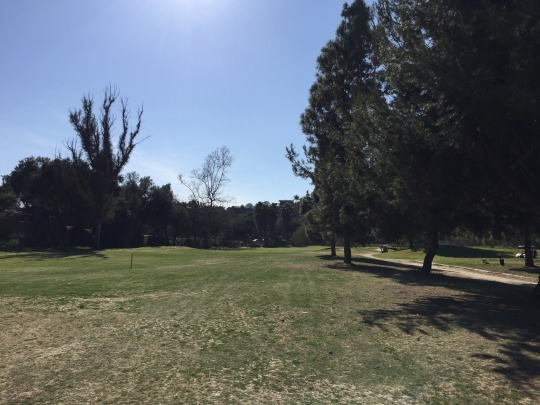 Looking for a challenging course that’s in great condition. Thx!! !